Daily Illuminator: Ogre Invades . . . Indiana University?! September 16, 2017: Ogre Invades . . . Indiana University?! 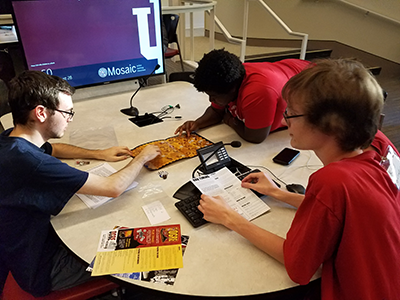 Massive AI tanks don't intimidate the students of Indiana University, apparently, because they used our Ogre scenario "Bad Timing" in their game-design class! This was a free scenario included in issue 210 of GTM (available at most local game stores), as well as at our booth at Gen Con and other conventions. You can also get it in Warehouse 23 orders that are big enough (maybe an order with Ogre Sixth Edition?). 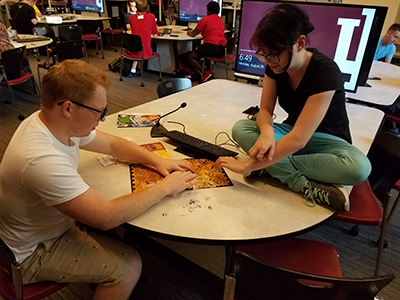 Students used the scenario's map, rules, and cut-out tokens to play a game of Ogre. For a game-design class, Ogre is a great study - an example of one of the earliest wargames. Thanks to IU for making Ogre a part of the curriculum!